Lara Francisco, PA-C, founder of Medelita, believes that “good enough” is never good enough. 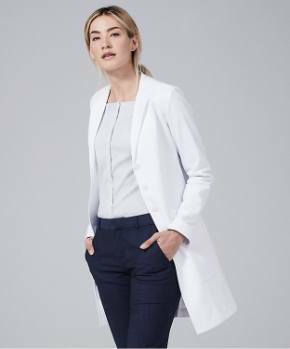 After deciding that 100% cotton just wasn’t durable enough for our customers/colleagues, she developed a new proprietary fabric that would far exceed the performance of any other lab coat - ever. Lara spent the last two years carefully researching and creating our revolutionary M3 fabric, which we officially launched last month. We are proud to introduce you to this new highly functional and highly durable fabric. 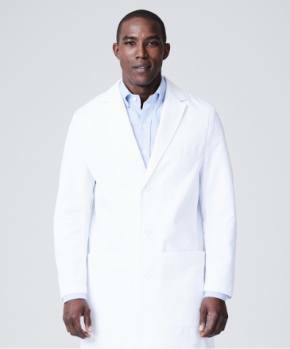 Here’s a breakdown that compares various lab coat fabric options, including our new M3 fabric. 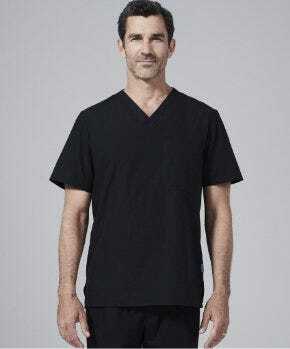 M3 is far more durable than any other lab coat fabric. This means you can wash your garment regularly without needing to worry about tears, fraying, or fading. It is ideally suited for home laundering, and pressing is not necessary with this new fabric. M3 fabric is odor-resistant, environmentally friendly, and repels stains. Lara's fabric goals have always been to create something that really "does something" for the wearer. She says that the fabric should "work for you," and this new M3 fabric truly does that. 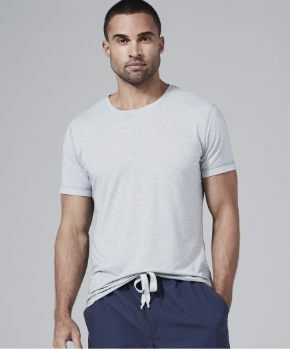 The inside of the garment wicks moisture and is bacteriostatic, meaning that odors cannot trap in the fabric and the garment stays odor-free and fresh. 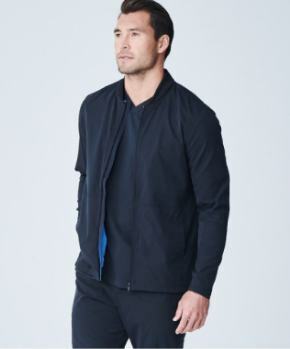 The outside of the garment is fluid, soil and stain resistant, and liquid spills literally roll right off the surface. Oil based stains are quickly released in the laundry, much more so than regular fabric. All of this was accomplished with a nanotechnology that doesn't wash out, is environmentally friendly, and lasts the lifetime of the garment. Truly groundbreaking. At Medelita we are constantly striving to perfect our brand and give our customers the quality and performance they deserve. Our new M3 fabric is only one of our recent improvements. You'll find more durable buttons, improved fit and updated size guides* to ensure your appearance is consistent with your professional reputation. As always, our one-year Professional Courtesy Guarantee will give you added confidence in placing your individual, large group or institutional order with Medelita. *Please review our size guide to ensure correct fit.